WILLEMSTAD - Adjustments in the free education system could accommodate the Protestant Christian Education Association, VPCO, in their desire to put an end to unequal treatment. This is according to their lawyer Rogier van den Heuvel. 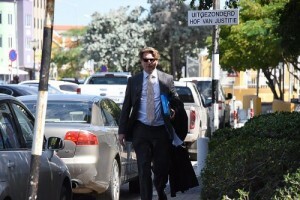 Van den Heuvel responds to the statements made by the Minister of Education, Science, Culture and Sport, Marilyn Alcalá-Wallé, who has stated that she is considering adaptations to free education. There will also be a thorough investigation into how the free education works in practice. Through an injunction filed by the lawyer, the VPCO has tried to get more subsidies from the government but the court has ruled that the case must be treated by the Court of First Instance.